ANALYSING THE INTRIGUING CASE OF THE ‘MISSING’ F-16 FALCON OF THE PAKISTAN AIR FORCE. How the Pakistani state has managed to clamp down on eyewitness accounts, online videos of the crash and initial ISPR flip flops — to obscure the fact that a PAF F-16 jet was shot down by an Indian Air Force MiG-21 Bison on 27 February 2019. Interestingly, after over a month post the aerial clash the narrative is being twisted significantly — with a distinguished foreign media house jumping in the fray and claiming that no F-16 was shot down by the IAF that day. Nothing could give more succour to the dirty tricks department at ISPR, led by the infamous Major General Asif Ghafoor of the Pakistan Army, who has been at the forefront of Pakistan’s hybrid war campaign to deny any manner of worthwhile information scrutiny on the matter since the day the PAF lost one of its most advanced platform to a bold and gritty IAF counterattack. While the evidence is right in front of us to sift through its worth; the first indication of a massive coverup by the Pakistani state on this intriguing subject was provided by none other than Major General Ghafoor himself — who it seems, was overwhelmed by the ‘truth of it all’ in those initial few hours post the aerial clash. Tragically for the Pakistani nation, there is nothing more deceptive than an obvious fact and somewhere in between this blatant game of lies and deception — is a F-16 tail number and a dedicated PAF pilot — both of whom having served Pakistan to the best of their ability; now have had their records unceremoniously wiped out from the face of the earth to serve a wider subterfuge of upholding the morale and image of the Pāk Fizāʾiyah, the pantheon of past glory and Pakistan’s best shot at hitting back at India in these times of turmoil. Wing Commander Abhinandan Varthaman, an Indian Air Force MiG-21 Bison pilot made history around 10 AM on 27 February 2019, when he targeted a formation of Pakistan Air Force F-16s who were engaging IAF Sukhoi Su-30MKI fighters with their AIM-120 AMRAAM beyond visual range missiles; closing in undetected and shooting down one of them with a Vympel R-73 heat seeking air to air missile over the Lam valley in Nowshera sub sector of south western Jammu and Kashmir. Abhinandan became the first MiG-21 pilot in the world to shoot down a F-16 jet. Unfortunately Abhinandan’s MiG-21 was also hit by an AMRAAM missile fired by another F-16 as he was heading back towards India, having crossed the LOC in pursuit of the F-16 only tens of seconds earlier. He ejected from the stricken aircraft and parachuted to safety, landing 4 km away from the LOC near Horan Kotla village in POK. He was brutally attacked by civilians, before being dramatically handed over to the Pakistan Army. His ordeal made him a focal point of the developing crisis, when in gross violation of the Geneva convention, the footage of his battered face was intentionally released on Pakistani television and social media by Pakistan Army affiliates minutes later. What was clear was that the Pakistan Armed Forces had activated the Inter-Services Public Relations (ISPR) to get the narrative under control. The Inter-Services Public Relations, is the media wing of the Pakistan Armed Forces which broadcasts and coordinates military news and information to the country’s civilian media and the civic society. Under this innocuous looking mandate hides the the real mandate of the ISPR — where the Pakistan Army uses the ISPR as the misinformation medium to escalate and de- escalate a rapidly building information threat to suit its tactical and strategic aim. ISPR is at the tip of Pakistan’s hybrid war effort, embedded well with the complexities of military manoeuvres, political power play and deft disinformation, with sempiternal loyalty only to the Pakistan Army — and the nation it serves be damned! While the ISPR is known for its notoriety in manipulating the ‘everything of anything’, history has proved on umpteen occasions that even for the smoothest of them operators — there is many a proverbial slip between the cup and the lip. Two interesting events took place post Abhinandan’s ejection on 27 February. First the Indian Air Force reported through the ANI’s Twitter handle that they had shot down a F-16 over Lam valley. It also acknowledged the loss of one of its MiG-21. 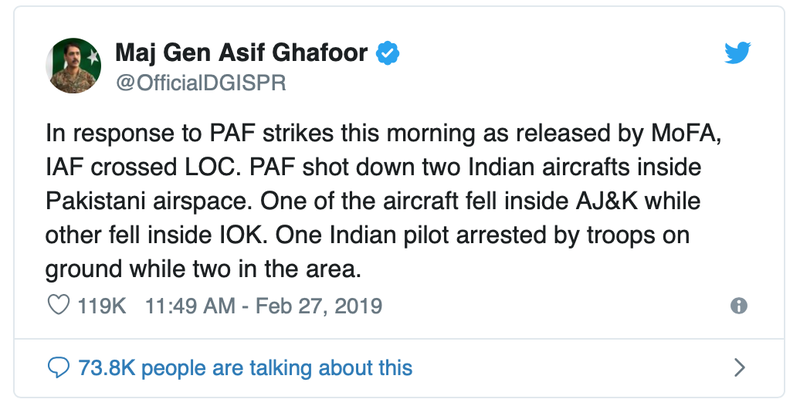 Secondly, Major General Asif Ghafoor — the Director-General of Inter-Services Public Relations (ISPR) and chief spokesperson of Pakistan Armed Forces tweeted on the ISPR handle that two Indian jets had been shot down by the PAF in POK, with one pilot arrested by the Pak army and two still in the area. Even as facts were being ascertained and before the IAF could give any info, Pakistani handles on social media started talking about the shooting down of two IAF jets and the arrest of the Indian pilots. While addressing a press conference at noon, a good hour after his first significant tweet, Maj Gen Ghafoor said that — another pilot has been arrested. “Our ground forces arrested two pilots; one of them was injured and has been shifted to CMH (Combined Military Hospital) and, God-willing, he will be taken care of,” said the army official and reiterated that “The other one is with us.” Maj Gen Ghafoor also assured all that no F-16 of the PAF had been shot down, since the F-16s were ‘not’ used in combat in that sector at all. Interestingly, the Pak PM Imran Khan also confirmed that Pakistan had two Indian pilots in custody. Post that press conference, the ISPR chief informed all that the pilot in their custody in the military hospital had died. At 6:19 PM in the evening, the last tweet on the subject from Maj Gen Ghafoor clarified that the Pak Army had just ‘one’ IAF pilot in its custody. He was Wing Commander Abhinandan Varthaman. In the time between his first and last tweet, the social media, particularly on Twitter, spiked up with a virtual war between the Indian and Pakistani sympathisers posting a barrage of messages, videos and photos to bolster their claims. This was nudged by the ISPR’s dedicated campaign to showcase the travails of Abhinandan Varthaman as their POW, increasing in intensity as the day progressed — in a clear effort to shift the focus of attention away from the shooting down of the PAF F-16 and the fate of the other downed pilot. 1# Because the loss of a top of the line F-16 aircraft would be counter productive to the morale and standing of the Pakistan Air Force, especially at the hands of an Indian MiG-21 Bison — considered by most experts to be a generation older than the F-16. It was already reeling under ignominy from the day before’s surgical strike by IAF Mirage 2000s on the Balakot JeM camp. Hence the PAF’s psyche would go to any length, including lying — to keep this information a closely guarded secret. 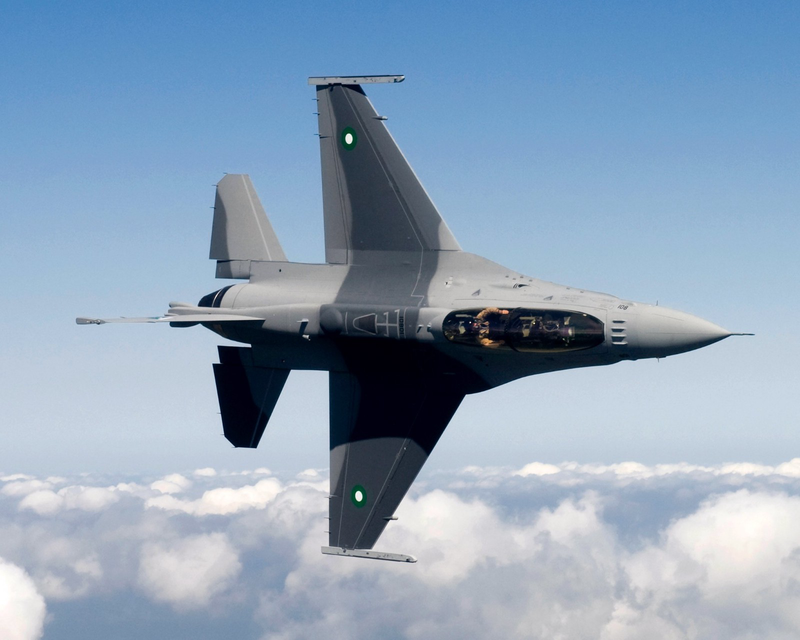 2# Because in an evil twist of fate — Pakistani civilians in the Sabzkot area of POK had assaulted an injured PAF pilot, who had ejected out of his F-16 — mistaking him for an Indian pilot. The pilot subsequently died at the CMH, probably due to the wounds received in this manhandling or post ejection. The ISPR lied at the end of the day that it had only one pilot to keep this tragedy under wrap. 3# Because Pakistan’s duplicity on the subject of covering up and not accepting its losses is well known. More than 1000 killed in actions (KIA) of the Pak Army were never officially acknowledged by Pakistan after the Kargil war with India in 1999. Since its partition from India, Pakistan continues to experience a security deficit vis-à-vis India, hence would go all out to hide losses suffered to maintain the so called martial dominance over the Indian military. 4# Because the PAF did not want to reveal to the world that an American made F-16 had been used as part of an offensive operation against India on 27 February, voilating end use agreement on many counts, including use of the AIM-120 C-5 AMRAAM air to air missile — which ostensibly had been given to Pakistan to be used against its war on terror. So Maj Gen Ghafoor resorted to lies, that no F-16s were used that day. 5# Because Maj Gen Asif Ghafoor’s trigger happy tweets and the presser in the first six hours post the aerial clash clearly points us towards the ‘truth’ in the information received by him — Who would believe that in today’s digital age with the Pak Army’s superbly networked communications, the head of ISPR would be battling the fog of war while collating reports about IAF POWs from various Pak formations in the Bhimber region of POK — one reported by a Mujahid Battalion near Horan Kotla and the second by a Northern Light Infantry (NLI) Battalion near Sabzkot. The DG ISPR was lying all through the day — unfortunately, himself becoming a victim of a half backed truth. By the time the shenanigans at the ISPR realised their goof up and said they had only one IAF pilot in their custody, the cat was out of the bag — giving the first tangible lead to the Indian Air Force on the possible sequence of events post downing of the F-16 and the MiG-21. Lets take a look at the OSINT info and the evidence that the Indian Air Force has officially revealed on the shooting down of the PAF F-16. That F-16s engaged with the IAF near Poonch — Naoshera sub sector on 27 February has been proven beyond doubt by the electronic signatures, as well as various video and visual sightings from both sides of the Line of Control. The IAF’s Phalcon AWACS, which while not on station and not controlling the IAF vs PAF air situation — had adequate radar pick up on the aerial engagement unfolding via its powerful airborne AESA radar. In addition, the Phalcon was able to map the large force engagement (LFE) from 10,000 to 40,000 feet, distinguishing and identifying the various PAF fighters taking part through their electromagnetic emissions (radars, navigational equipment and other active sensors) — duly picked up, processed and analysed by the powerful Electronic Intelligence (Elint) systems. It identified F-16, JF-17 and Mirage IIIs as part of the PAF package, spread out from north to south J&K on three main axes near the Line of Control in the POK. The fused radar and Elint signatures accurately depicts the presence in time and space of the F-16’s APG-68 V9 radar signature over Lam valley, along with 4 different blips between 10–15,000 feet. 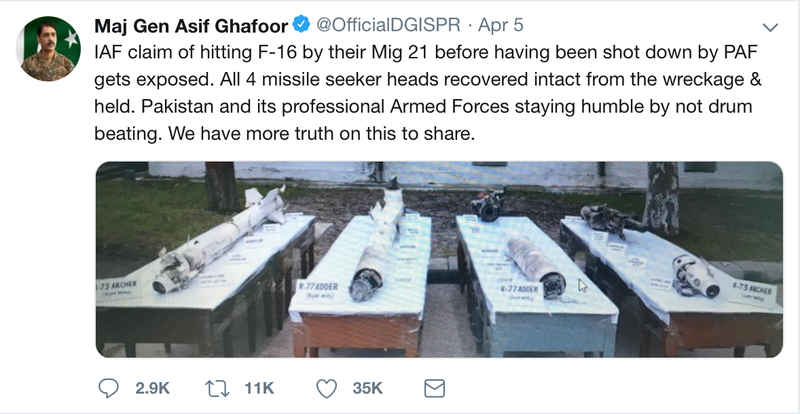 The data proves beyond doubt — that F-16s were operating against India that day — exposing the lies and contradictions of the DG ISPR, Maj Gen Asif Ghafoor — exposed further by the remains of the AMRAAM missile found in Naoshera sector by the Indian military. AMRAAM missiles can only be fired by F-16s in the PAF inventory. The IAF’s Integrated Air Command & Control System (IACCS) had initially missed tracking the ingress of these 4 F-16s towards the LOC since they maintained below the radar horizon of the IAF’s ground based radars, picking them only once they approached north of Poonch — where they lay in wait to ambush IAF Su-30MKIs who were being ‘pushed’ towards them by another formation of 4 F-16s north west of Poonch at 40,000 feet. This formation had fired 4–5 AMRAAM missiles at IAF Su-30 MKIs, as they approached south of Rajouri. Having spotted the lower formation of F-16s and seeing that the Su-30MKIs were effectively being checked by the higher formation of F-16s — the IACCS vectored two MiG-21 Bisons to prevent these 4 F-16s from breaking through towards Srinagar — Awantipore. 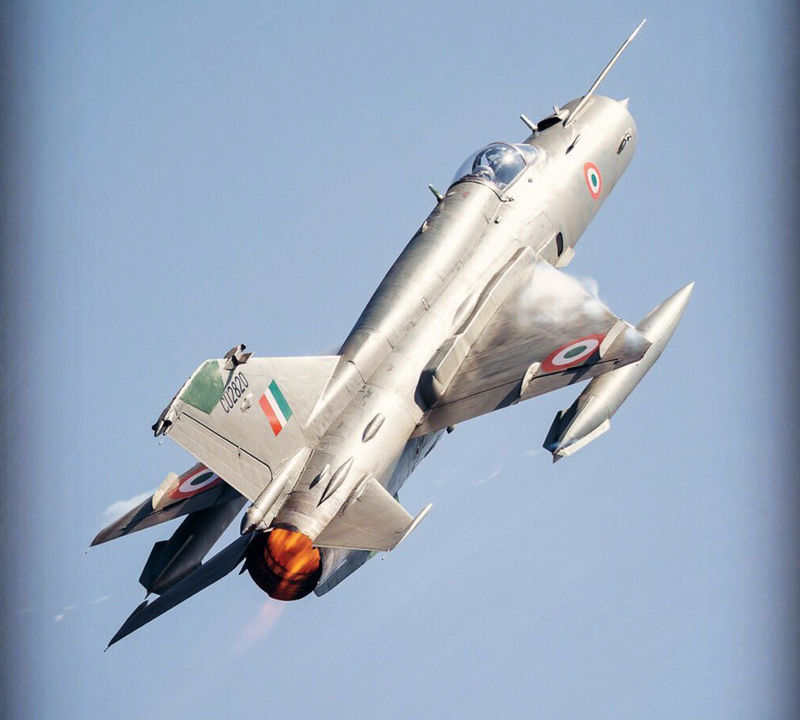 Abhinandan was the lead in this 2 aircraft MiG-21 pair. The approach of the 2 MiG-21s was missed by the F-16s who were busy scanning for the Su-30MKIs, but a Saab 2000 ERIEYE Airborne Early Warning & Control (AEW&C) operating in depth near Islamabad, spotted the MiG-21s over Naoshera, warning the F-16s. The IAF’s gound controller saw the defensive maneuvering of the F-16s, warning the MiGs in turn. While his No 2, who was lagging behind, turned ‘cold’ or away from the F-16s which were going ‘hot’ or facing the MiGs — -Abhinandan chose to ignore this threat and continued towards the F-16s. Both the IACCS & The Phalcon AWACS registered the radar signature of one MiG-21 piloted by Wing Commander Abhinandan Varthaman cross the Line of Control and engage a F-16 with a R-73 missile. His call on R/T of a missile launch was monitored by the AWACS. 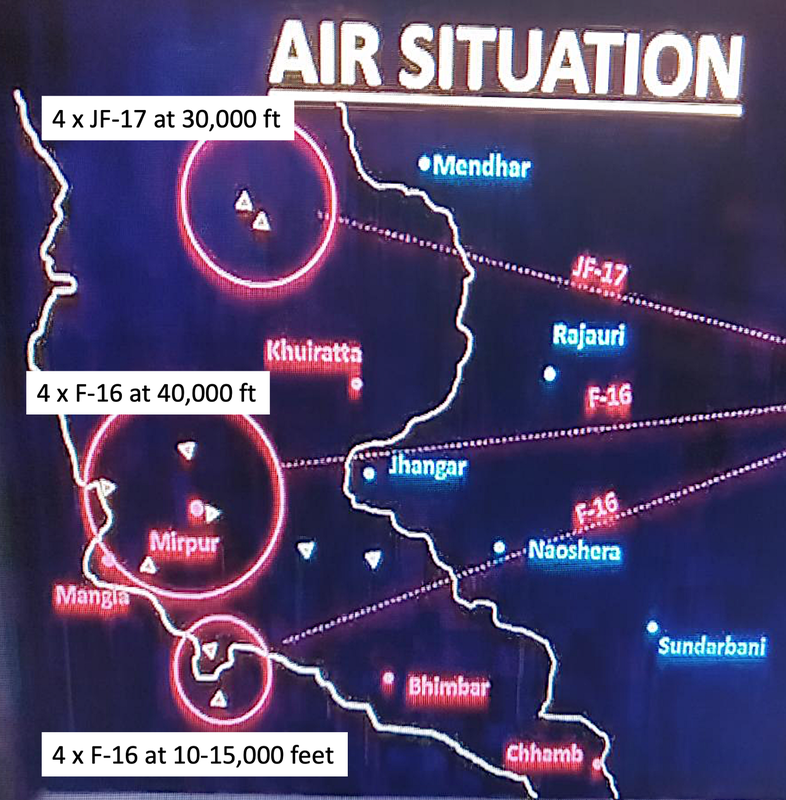 Abhinandan was 8–10 km away from the F-16, which was turning towards him — aiming for a frontal aspect launch with high closing speed between the missile and the incoming F-16. The R-73 is a heat seeking air to air missile with a sensitive, dual band cryogenic cooled seeker with a substantial off-boresight capability. The seeker can see targets up to 40° off the missile’s centreline. Minimum engagement range is about 300 meters, with maximum aerodynamic range of nearly 30 km at altitude. Abhinandan fired his R-73 well within the range and tracking capabilities of the R-73 missile, with a high closing speed of more than 3500 kmph between the missile and the F-16, which was at 15,000 feet. 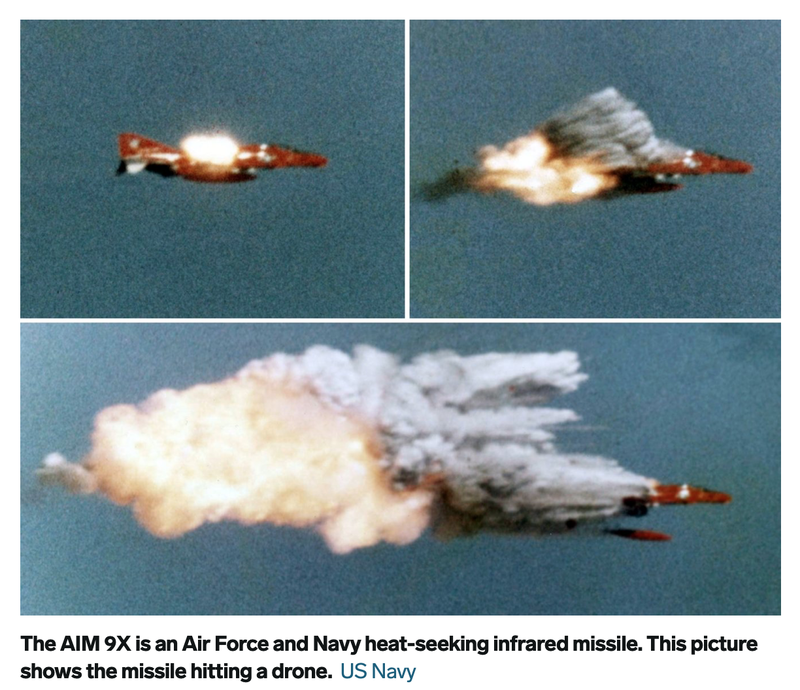 At those ranges, the missile would have closed into the target in less than 20 seconds, its proximity fuse activating the 7.4 kg warhead to explode and engulf the F-16 in frontal quarters with flame and high velocity shrapnel — in all probability grievously injuring the pilot. The ‘splashed’ F-16 fell towards the earth post that, with the pilot ejecting out of the stricken aircraft as reported by eyewitnesses. The F-16 ‘kill’ was noticed by the Phalcon’s radar — with the said blip vanishing from the radar scope in the radar picture processed 8 seconds after the previous one, which had shown the blip in place. This is the first hard evidence on the F-16 kill based on a concrete electronic signature recordings. The same is corroborated by a Thales GS-100 Low Level Targeting Radar (LLTR) deployed in that area and integrated into the IACCS. The GS-100 is an AESA radar with low-altitude search capability that can track targets up to 180 km range with high accuracy. The post event milking out of radar data from the GS-100 clearly has shown the MiG-21 closing into the F-16s, which were higher between 15–25,00 feet. The overlapping time and place of the missile launch and the subsequent ‘splash’ with the blip vanishing is registered very accurately, matching with the Phalcon data. This is the second hard evidence on the F-16 kill. The same LLTR had clearly registered a PAF F-16 maneuvering towards Abhinandan’s MiG-21, as he turned northwards post his missile launch. Guided by the Saab ERIEYE, it was a classic Type III converting into a Type IV interception by the F-16 — which fired an AMRAAM to shoot down the IAF MiG-21. The LLTR noticed the MiG-21 blip vanishing after nearly a minute post the F-16 kill, matching with the account from Abhinandan’s debrief post his repatriation back to India. The air battle was visible in great details, on both sides of the Line of control, thanks to the contrails formed at the altitudes where the jets were operating on most occassions. As the F-16 fell to the ground after being hit by the MiG-21, its downward trajectory with parachutes in proximity, was recorded by at least 2 different geographically apart Indian Army posts, which accurately estimated that the wreckage would have fallen 7–8 km in POK close to Sabzkot in Bhimber. About 40–50 seconds later, the same army posts noticed and tracked Abhinandan’s MiG-21 going down and his ejection in general area Tandar 6–7 km in POK, which through OSINT is close to the village of Horan Kotla where the wreckage was seen vividly on social media. The sightings and the time of the aircraft (and parachutes), match up with the electronic signatures from both the AWACS and the LLTR. This is irrefutable proof of the F-16 being shot down by the MiG-21. Post this, radio transmission picked up by the Indian military around 1145H shows Pakistan soldiers from Northern Light Infantry talking about two ‘parinda‘ (aircraft) and two ‘parinde wale‘ (pilots), having bagged one in their custody. While the first parachute was seen in General Area Sabzkot, the second parachute was spotted in General Area Tandar. The distance between the two locations of the F-16 and MiG-21 wreckage is about 6–7 kms. In a damning intercept at 1242H, a soldier of 7 Northern Light Infantry battalion, Tandar area, blatantly talks about soldiers from 658 Mujahid battalion having picked up a second pilot — which was Abhinandan as seen with the Mujahid soldiers in the various social media grabs. The NLI soldiers already had one pilot in custody at the time. At 1520 hours, another intercept says that while one pilot is in custody, another has been sent to the military hospital. This clearly shows that a second pilot was also in the Pak Army custody as also being mentioned in the parralel narrative by the ISPR chief. So if one was Abhinandan with the Mujahids, who was the second pilot with the NLI battalion — obviously none other than the F-16 pilot! Besides the initial video of locals who said two pilots were caught, the sighting by the Indian army and videos showing two parachutes coming down — all indicate that a Pakistan jet was shot down. After sifting through a large volume of social media videos, images and posts — some very interesting OSINT data emerges. 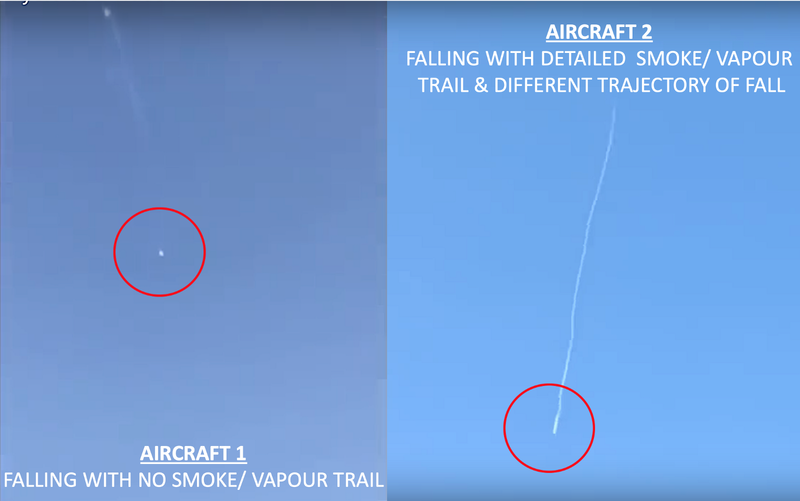 With over 10 different videos of the aerial engagement and the subsequent aircraft crashing into the ground accessed, there are at least two videos which show two different aircraft falling towards the ground. These can be distinguished by their rapidly falling trajectories towards the ground and the vapour trails created in the skies. Clearly two different aircraft have crashed in the Bhimber region, POK on the 27th of February. 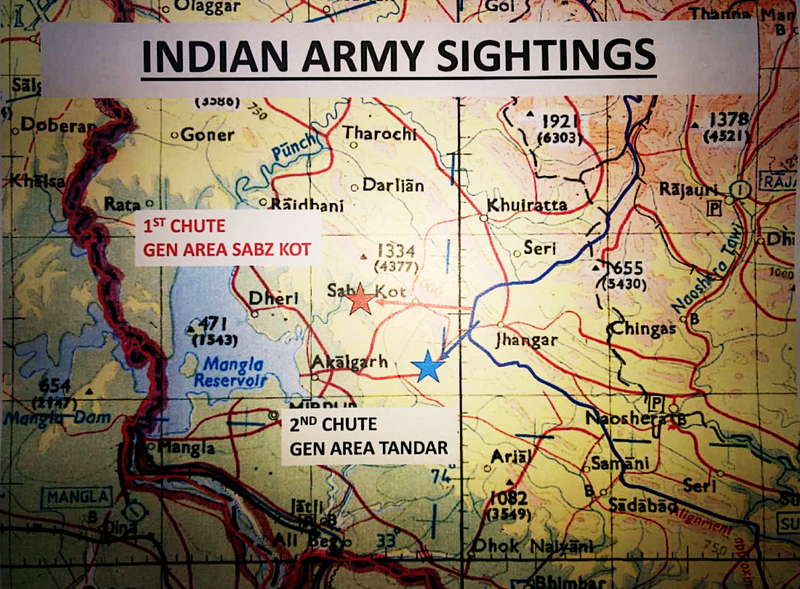 A detailed analysis of Abhinandan’s crash site by geospatial experts and eyewitness accounts places it near the village of Horan Kotla in Tandar area. Working backwards from the location of the MiG-21 wreckage, one can plot the approximate area where the F-16 wreckage might have fallen. After the tirade of videos on the MiG-21 wreckage surfacing on the social media, there was an initial rush to brand the Mig-21's R-25 engine, as seen in the wreckage — as the F-16’s General Electric Engine. However, it petered down when experts stepped in to debunk these theories. What is however noteworthy — is the hurry that the Pak Army showed to transport and shift pieces of the MiG-21 wreckage from the crash site. This initiative, which took place around 1500H is shown well in a Twitter video and gives us a vital clue — one of the part being loaded onto a truck is certainly not from the MiG-21. In fact the smooth metal finish panel may be from the F-16’s underbelly, where there is supposed to be an arrestor hook assembly. 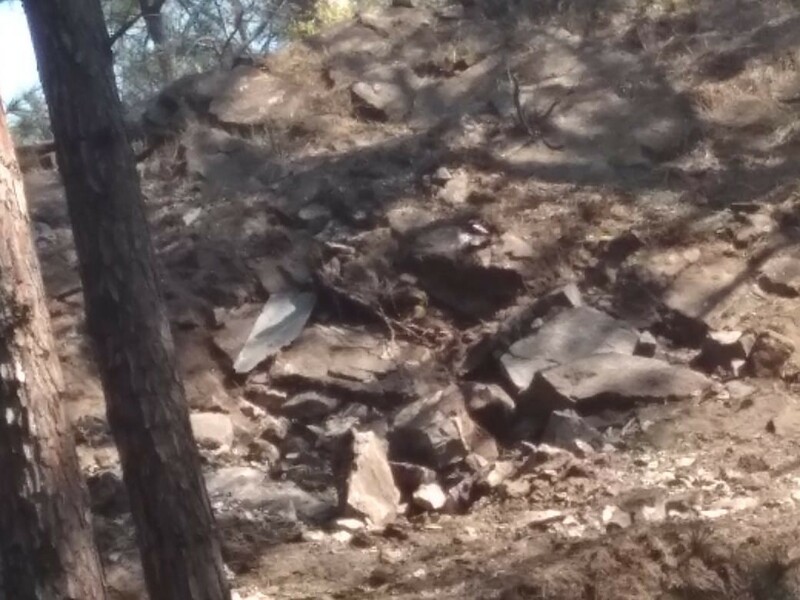 It is further complemented by NLI soldiers in its vicinity, indicating that this is closer to the F-16 wreck in the Sabzkot area. A couple of photos tweeted by ANI the same day, evidently show pieces of PAF bombs which missed Indian Army targets that day. 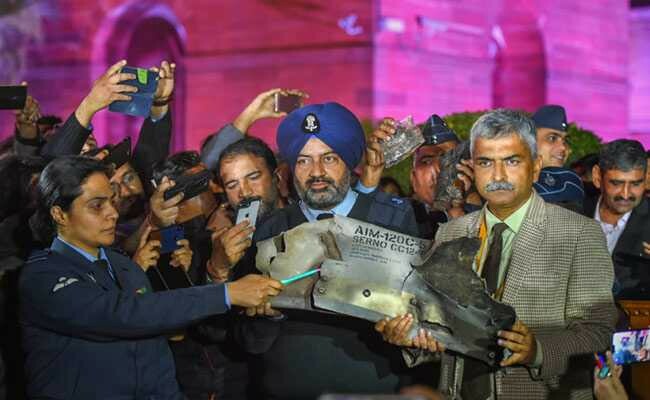 On a closer inspection — what this picture shows is clearly a part of a panel from a F-16 Falcon fighter jet and not a bomb as incorrectly assumed by ANI. This may have landed on the Indian side of the Line of Control after the F-16 shoot down. The photo evidence provides ample proof that the PAF F-16 had indeed disintegrated after the R-73 hit, with its wreckage strewn and scattered around the area in the same manner as that of the MiG-21. 1# There were more than one parachute in the sky — Cleary seen in the various video grabs, this adequately indicates that more than one pilot ejected. 2# Pak civilians had apprehended Abhinandan, who tried to escape, but was caught and handed over to the Pak Army — This is documented well with a flurry of ISPR and Pak media videos and images on the social media. 3# Ostensibly, one of the witness claimed that they had apprehended an IAF sikh pilot of the IAF — In all probability, the witness has confused Abhinandan, who was wearing a skull cap under his helmet, which resembles a sikh patka at times. His burly moustache with the patka would have given the impression of him being a Sikh to the eyewitnesses on ground. 4# Many witnesses claim to have seen a parachute with colours of the Indian flag — A very significant detail, which emerged in many videos on the social media. 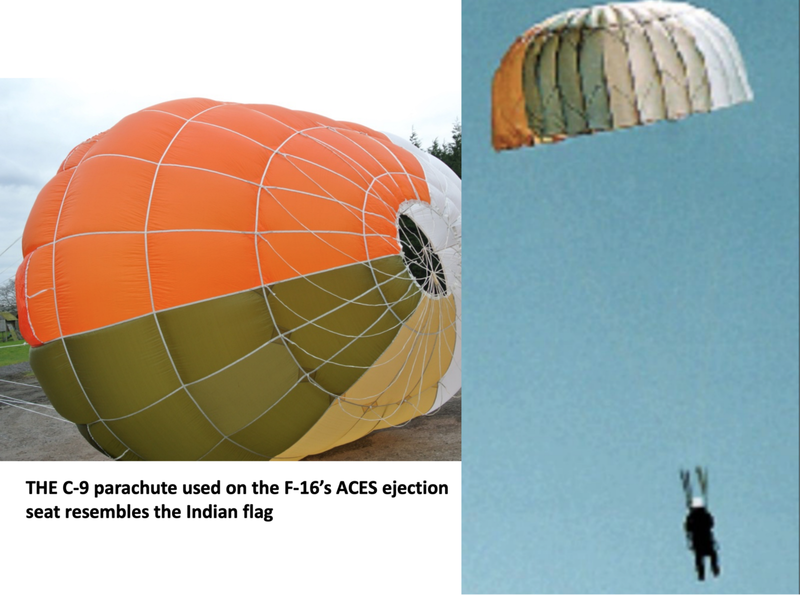 On closer analysis, a startling fact emerges — the colour of the C-9 parachute on the PAF F-16’s ACES ejection seat has four colours — white, orange, jungle green and sandy brown — eaily anyone taking a look at the same will assume it to be an Indian parachute due its uncanny resemblence to the Indian flag. In all probability, just like they tried to lynch Abhinandan when he landed — the POK civilians have clearly mistaken the F-16 parachute to be an Indian and lynched the possibly injured PAF pilot. Due to extreme injuries, the PAF pillot would have been taken to the Pak Army CMH as briefed by the Maj Gen Ghafoor to all — where he would have passed away due to the wounds sustained. Eyewitness accounts from POK civilians also confirm that the second pilot was taken to a Pak army hospital. 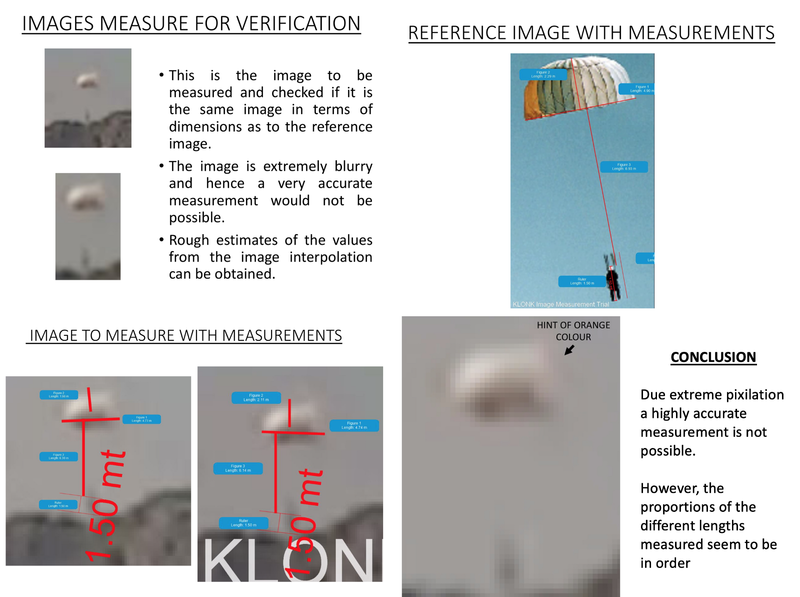 A quick run of an image and size interpolation software comparing the reference C-9 image from above and the image taken from a Pakistani video grab of a parachute landing in the area throws up some interesting results — confirming the view that a F-16 parachute did land near the same time that Abhinandan ejected . So why didn’t the Pakistanis recognise their own pilot before lynching him? For this we need to go back in air — at the exact moment when Abhinandan fired his R-73 against the PAF F-16 — As per Abhinandan’s debrief after his return, the R-73 missile was fired when the PAF aircraft was turning towards the IAF MiG-21, about to roll out towards him in its frontal quarter. This means when the R-73 missile, with a massive closing speed of over 3500 kmph, would have reached the calculated range for its proximity fuse to explode the warhead — the PAF jet would be still be travelling towards the explosion. Let's try to understand how the R-73 warhead would have exploded — The R-73 has a continuous rod warhead weighing 7.4 kg — which is activated by a proximity fuse when it senses an aircraft in close quarters. When detonated, the high explosive imparts momentum to the rods, thrusting them outward in an expanding circle. The pressure wave from the explosive acts evenly on the rods over their length. The rods are sufficiently soft to allow the expansion without breaking the rods or the welded joints, and the detonation velocity is limited to approx. 1000 m/s, allowing the rods to bend at these locations instead. At some intermediate point the ring will have a zig-zag (alternating direction) appearance within a cylindrical envelope — Upon ultimate expansion the ring is circular and contained within a plane. This rapidly expanding ring, when hitting the aircraft, is more effective than an equivalent fragmentation warhead — for the science inclined, the ring’s effectiveness decreasing as 1/R, rather than 1/R2 for fragments. Portions of the aircraft intercepted by the expanding ring of the continuous rod warhead — will receive a continuous cut through the skin, light structure, underlying cables, hydraulic lines, and other plumbing if present — This may cause a structural failure, or, if not, can be sufficient for defeating the redundancy of aircraft systems. The effect is only pronounced as long as the ring is unbroken, so multiple layers of rods are employed in practical weapons to increase the effective radius. Now when the R-73’s warhead would have exploded and expanded ‘outwards’ ‘towards’ the front at over 1000 m/s, the closing speed of over 3500 kmph would have ensured that the F-16 itself would be coming towards the explosion at 972 m/s. 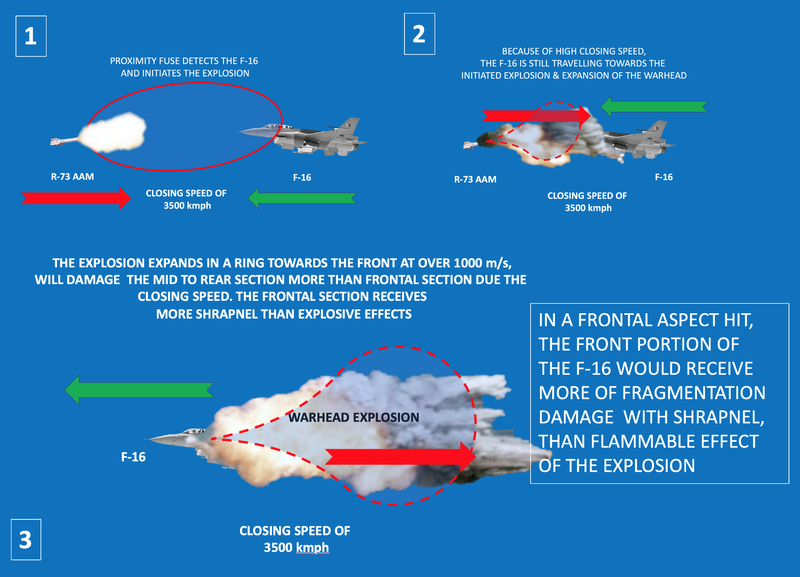 So if we assume that the proximity fuse would have initiated the explosion in frontal quarters at around 300m — there would hardly be any time between the effect of the explosion taking shape, expanding the flame and shrapnel at high velocity outwards; and the closing in F-16 to absorb the explosion effectively. What that means is that most of the frontal section of the F-16 would have flown in through the expanding shockwave, with damage mostly limited due to shrapnel, rather than the explosive effect. Hence it is clear that the pilot would have survived the heat and flame effects of the explosion, but would have in all probability been effected by the shrapnel effect of the explosion — grievously injuring his upper body — with the flying helmet preventing fatal injuries, but not able to prevent rampant injuries to the face, neck and chest level. 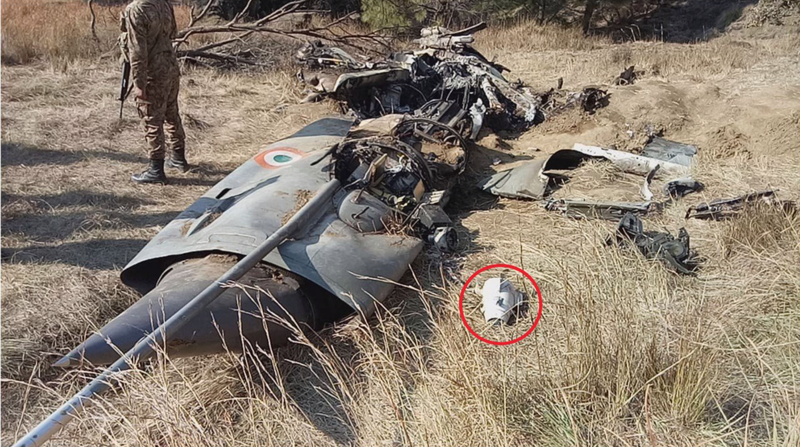 In contrast, the AMRAAM hit on Abhinandan’s MiG-21 was from right 7 ‘o’ clock position, mostly damaging the rear portion of the MiG-21, as is visible during the post crash analysis of the wreckage. Hence when the PAF F-16 pilot would have ejected, he would in all probability have been injured in the upper torso and facial region. He may or may not have been concious due to his injuries. 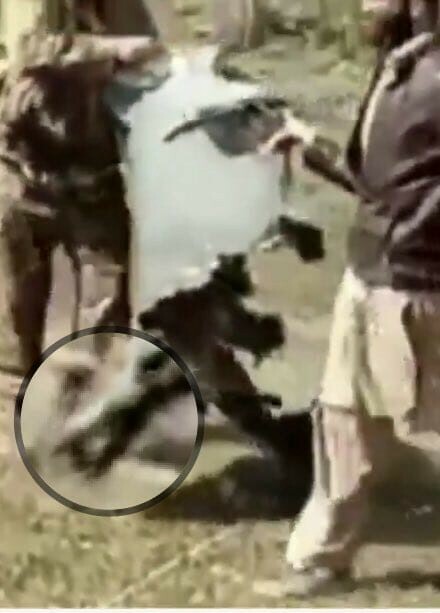 After his landing in Sabzkot — the POK civilians would not have found the classic traces of PAF flight overalls and livery/ patches, which would have in all probability been ripped off due the high velocity shrapnel — crucially may not have displayed any name indicating he was a Pakistani because of bloodied appearance. They would not have recognised him as a PAF pilot and assesing from the Indian coloured parachute — would have mobbed him like Abhinandan, before being handed over to the NLI Regiment soldiers — injured and battered. Though circumstantial, this relevant evidence proves that a Pakistani pilot was apprehended and injured by a mob after landing and would later have been taken to a Military hospital; where he may have succombed to his injuries as claimed by the ISPR. Who was the PAF pilot shot down by the IAF? Interestingly, post the aerial melee over South Western J&K on 27 February, the Pakistani Foreign Minister on 6 March spoke in the parliament about — two PAF pilots who had shot down IAF aircraft. These pilots were Squadron Leader Hassan Siddiqui and Wing Commander Nauman Ali Khan. Why did Bilal Bhutto and other parliamentarians praise the younger Sqn Ldr Hassan Siddiqui? Why was his heroism more significant that Nauman Ali Khan? Why in the first week of March 2019, did the PAF chief urgently visit all PAF bases, particularly those housing the F-16 squadrons? While Wing Commander Nauman Ali Khan was seen being congratulated by the PAF chief, Air Marshal Mujhaid Anwar Khan in a recent PAF propoganda video — why has there been no photo or video released of Sqn Ldr Hassan Siddiqui post the aerial engagement? Why is a fake video being circulated by ISPR affiliates on social media as that of Sqn Ldr Hassan Siddiqui after his return post shooting an IAF aircraft — the person being shown is not Hassan Siddiqui. There is an interesting story of Pak TV channels rushing to Hassan Siddiqui’s parental house in Karachi on 27 February. They spoke to his friends and neighbours. However, after that there is complete radio silence on his status. It is my belief that Squadron Leader Hassan Siddiqui may be the pilot who was shot down by Wing Commander Abhinandan on 27 February. The fact that his heroism is widely recognised by the Pak parliament and ISPR is covering his presence with fake information, strengthens my theory. Even if I am wrong, the fact of the matter is that a nameless PAF F-16 fighter pilot has sacrificed his life for Pakistan. Tragically for the Pakistani nation, with the Pak Army adept at hushing up the deaths of hundreds of its soldiers without as much as batting an eyelid — there is nothing more deceptive than an obvious fact — and somewhere in between this blatant game of lies and deception by the ISPR — is a F-16 tail number and a dedicated PAF pilot — both of whom having served Pakistan to the best of their ability; now have had their records unceremoniously wiped out from the face of the earth to serve a wider subterfuge of upholding the morale and image of the Pāk Fizāʾiyah, the pantheon of past glory and Pakistan’s best shot at hitting back at India in these times of turmoil. 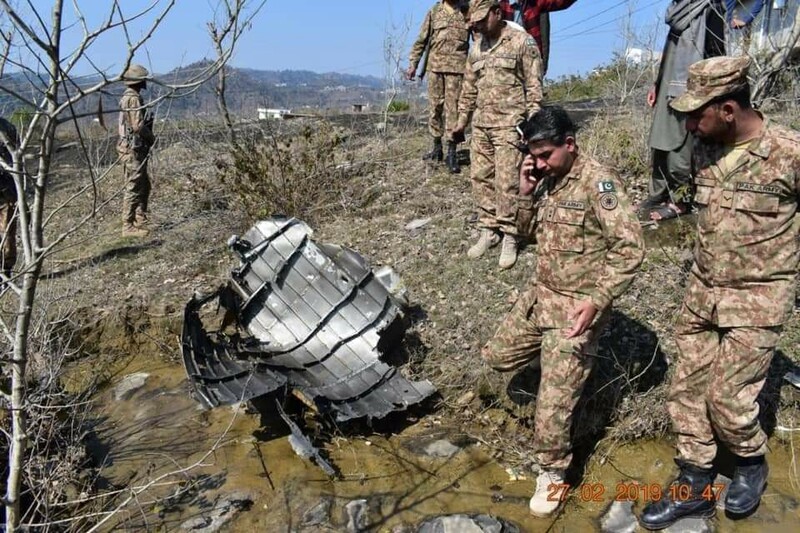 Since the initial flip flops on the day of the F-16 shoot down, the ISPR and the Inter Services Intelligence (ISI) have invested a good amount of effort on creating alternative evidence around the MiG-21 wreckage, as well as reaching out to its foreign affiliates and sleepers — to influence foreign publications in questioning the IAF claim of a F-16 shot down at an international level — much in line with its effort to embarrass the IAF’s Balakot strike by the recruiting geospatial domain specialists across the word in its deception effort. While any independent viewpoint on the subject is a worth a discussion — The IAF will need to watch out for articles based on false claims and twisted data, such as the recent Foreign Policy media piece by Lara Seligman. Ms Seligman claimed in her post that two US government sources has confirmed to her that ‘no’ F-16s had been lost by the PAF. This was based on a head count of all Pakistani F-16s by the USG as part of the end user compliances post 27 February. The FP piece created a furore in the Indian media circles due the damning information it contained. While the IAF countered this by showing crystal clear proof in the form of the electronic signatures and call intercepts in its possession on the subject — Indian agencies were clearly seeing the hand of ISPR in this unwarranted spin to the Mig-21 vs F-16 saga. This was proven to be a lie — as the US Government categorically denied any such F-16 count having taken place at all. However Maj Gen Asif Ghafoor went ballistic on the subject, claiming that the ISPR and PAF’s denials had been vindicated. It was clear that the narrative besides influencing certain quarters of global information cells, was clearly aimed at placating a domestic audience — which had discreetly started to question the reality on the aerial engagement. And things are not going well for the ISPR at all — with the DG ISPR having been forced to accept that the PAF had used F-16s in the aerial engagement on 27 February — another of his lies busted in earnest! 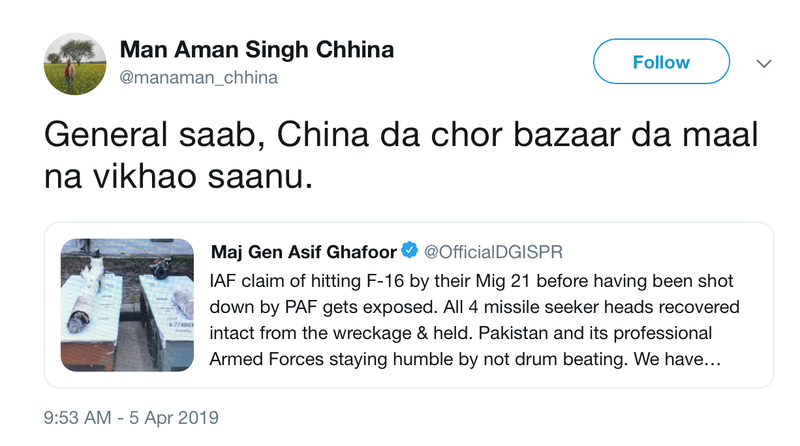 Bellowing his last hurrah on the subject — Maj Gen Ghafoor unrolled another tweet insinuating that — no missile was fired by the MiG-21 — with all being recovered at the site of the wreckage. A closer inspection of the photograph has revealed that the extreme right R-73 missile has been fired — it being the remains of the R-73 used to shoot down the PAF F-16. Lies will take the ISPR only as far; as mentioned earlier — the occassional slip between the cup and the lip, can cost a lot! 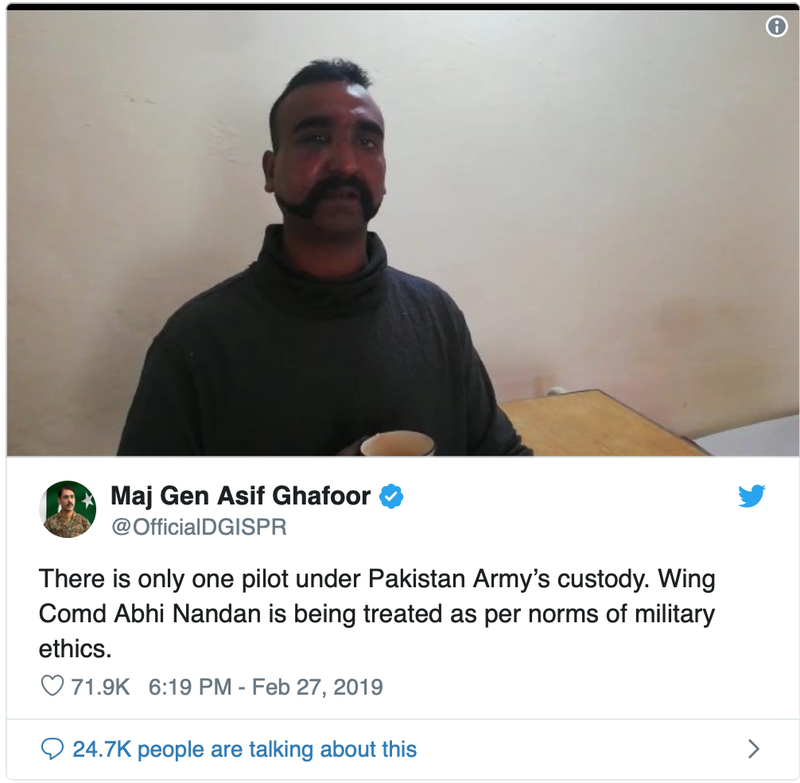 There is more than ample evidence that Wing Commander Abhinandan Varthaman piloting a MiG-21 jet — has shot down a PAF F-16. The onus is on Pakistan to prove that they have not lost any aircraft. Let's wait for the next move by ISPR on the subject……!!! ***The author is an former fighter pilot with extensive experience on the Mirage 2000 and MiG 21 aircraft of the IAF. He has seen combat in the 1999 Indo Pak Kargil conflict. He writes on military subjects and his article on the Air War in Syria, won the best military aviation submission at the 2017 Paris Airshow.